Pinterest is such a great place to look for some garden design ideas. We’ve picked ten of our favorites to inspire you. Looking for some garden inspiration? Then head to Pinterest, where you will find lots of stone paving uses for your outdoor space. A little short on time? Then take a look at some of our favorite Pinterest-worthy ideas that are right on trend! Take some inspiration from Mediterranean mosaics and use your natural stone paving to create patterns. You could opt for intricate spirals and circles, or go for squares and hexagons for a sleeker, more modern feel. This will make your patio a real focal point, perfect in gardens with less lawn space. Rather than just placing your garden furniture anywhere, use your paving to create a designated seating or dining area. A large concentric area of paving with a fire pit or table at its centre looks wonderful in the middle of a lawn or edged with gravel or paving in a contrasting colour. Indian style sandstone paving is so on trend right now, and with great suppliers of natural stone offering brilliant products at affordable prices, getting hold of the best quality paving slabs within even the tightest of budgets has never been easier. Thanks to its smooth grain and beautiful soft colour, sandstone fits into a wide range of garden design schemes, whether they are traditional or modern. Crazy paving is making a comeback! Geometric designs have become a firm favourite in our interior spaces, and we are now seeing plenty of them outdoors. Crazy paving is great in a traditional formal garden, but when created with great quality stone paving, still looks incredibly playful and modern. Stepping stones are not only banged on trend at the moment, but they are great for those on a budget as you need fewer paving slabs to create a pathway. You’ll find plenty of inspiration on Pinterest, from square stones set in a straight line to circular and irregular slabs taking a more indirect route through a garden. 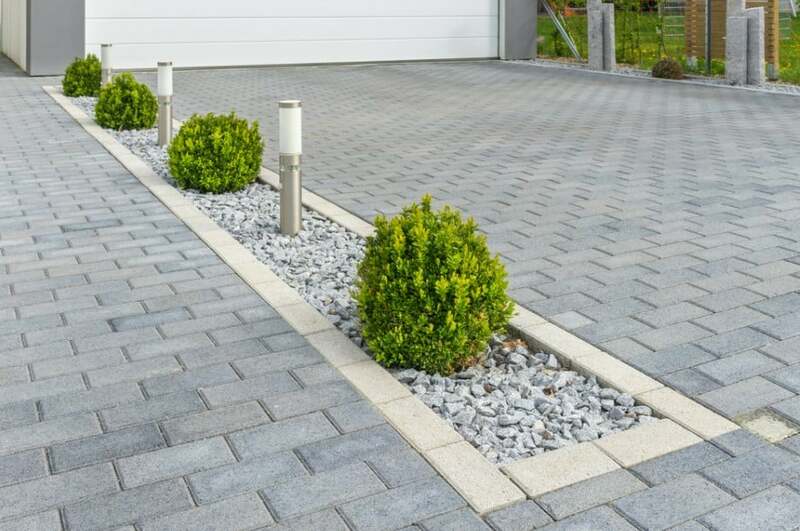 Instead of stones laid next to each other, many people are opting for paving slabs laid with large gaps in between them, which are then filled in with gravel or pebbles. This creates a ‘floating’ effect and is perfect for those looking for a twist on the traditional patio. A natural stone pathway edged with bricks looks so beautiful in a country garden, particularly if you use the same bricks for your flower bed borders. You can also do your bit for the planet by using reclaimed bricks, making this a great style for environmentally conscious gardeners. Using paving slabs to create a pond or water feature is nothing new, but they are becoming much more streamlined and inventive in 2019. Two ideas are a sunken water feature surrounded by beautiful paving or a pond encased in the same paving used on your patio for a seamless finish. Curved borders and lawn edges are very in right now, and can help you create shape and interest in a boxy, square garden. Using cobbles or those aforementioned reclaimed bricks will help you to create a space that has a clear definition but doesn’t feel too formal or restrictive. A multi-level patio featuring raised planters and steps is perfect for those struggling to know what to do with a garden that slopes upwards. By using the same natural stone paving for all the features on your patio, you will be able to create a garden that is unified despite the different levels. 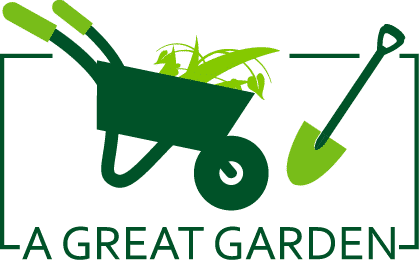 It’s time to get creative in your garden! We hope that you’ve taken some inspiration from our favourite Pinterest trends! Whether you have a big garden or a more bijou one, there’s no reason why with some new paving, you can’t make your outdoor space beautiful just in time for summer.